Within this guide, you’ll find the information you need to interview at ALDI and secure a position there. We’re going to go over some basic facts about the ALDI grocery store chain and list some helpful tips for interviewing there. You’ll also find a section completely dedicated to ALDI interview questions. We’ll present a list of the top ALDI interview questions and give you an answer suggestion for each of them. We hope you find this article helpful while preparing for your interview! Let’s get right into the facts. 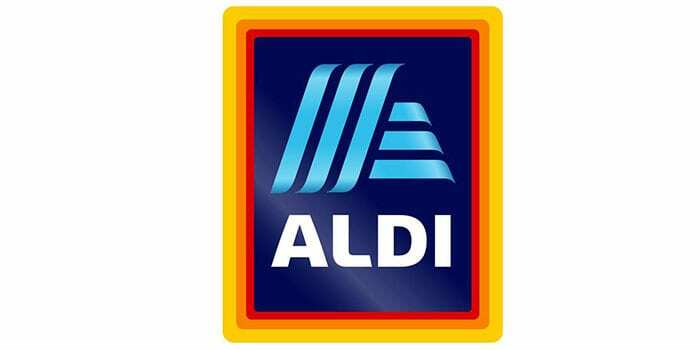 ALDI is a supermarket chain that originated in Germany over 100 years ago. They operate in more than 10,000 stores in 20 countries. Their discount prices attract shoppers who enjoy bargains. ALDI is able to keep their costs low by selling only quick-moving items. This way, they obtain hard goods at a discount, they do not use plastic bags but utilize a cart rental system that keeps the chain from having to employ parking lot attendants. Full-time workers at ALDI receive a benefits package that includes healthcare and dental insurance, sick days, a 401k plan, maternity and paternity leave options, and in some cases, paid vacation time. The starting pay for an entry-level hourly employee at ALDI is well above the average for the grocery industry, clocking in at about $12.00 per hour. These questions are some of the most popular ALDI interview questions for ALDI managers to ask their applicants. Expect a mixture of situational-based questions along with a healthy dose of questions related to ALDI itself. We recommend that you do some research about the company before heading to your interview. Additionally, practicing ALDI interview questions out loud will help you feel more ready when interview day rolls around. Here are the most common ALDI interview questions for the positions of cashier, store associate, and shift manager. A2: “My favorite part of my last job was how well our managers communicated with us. There was a chart in the back room that highlighted sales goals and what we were falling short on. If there was an issue with the way one of us was handling our job duties, the issues would be addressed quickly rather than left to get worse. A1: “Essentially, I didn’t like that I worked for a company that disregarded the opinions of its employees. I didn’t understand the way that our social media presence was being handled at one of my last jobs. It was sloppy, and all of our images were low-quality. I brought up to the manager that there were some changes I thought would be beneficial. Many interviewers weed out applicants who routinely blame their decisions or mistakes on other people. You’ll likely come across ALDI interview questions that involve the reason you left some of your previous jobs. Rather than blaming your ex-manager or old coworkers, have a more personal answer that doesn’t involve workplace drama or an issue with another person. You’ll only have one chance to make a good initial impression on your ALDI interviewer. Dressing business casual will set you apart from the applicants who don’t take the opportunity as seriously. ALDI often hosts hiring events. During these events, most people grab an application and fill it out by hand, at the venue. Don’t be like everyone else – download a PDF application from the ALDI website and type out your responses. Print it and bring it to the hiring event or interview. The latest tips for Chipotle interview questions. Updated collection of Salesforce interview questions. To hear employee perspectives on what it’s like to work at this company, use their ALDI Glassdoor profile to browse testimonials. Hopefully, this ALDI interview guide has helped you prepare for your upcoming interview. When is yours scheduled for? Comment below if you’ve already attended your interview. We’d love to hear about any challenging ALDI interview questions you were asked and how you went about answering them!